Posted by Des at 1/06/2007 10:45:00 a.m. 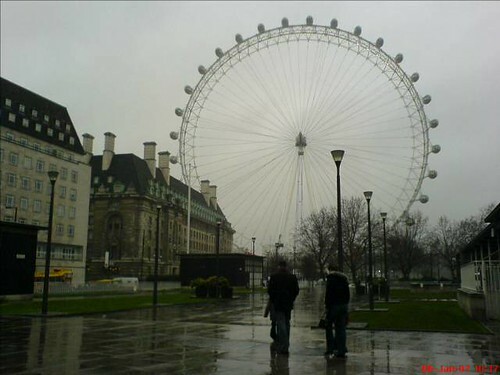 The London Eye can carry 800 passengers per revolution - equivalent to 11 London red doubled-decker buses. Each of the 32 capsules weighs 10 tonnes. To put that figure into perspective, it's the same weight as 1,052,631 pound coins or 5 Limousine London vehicles!